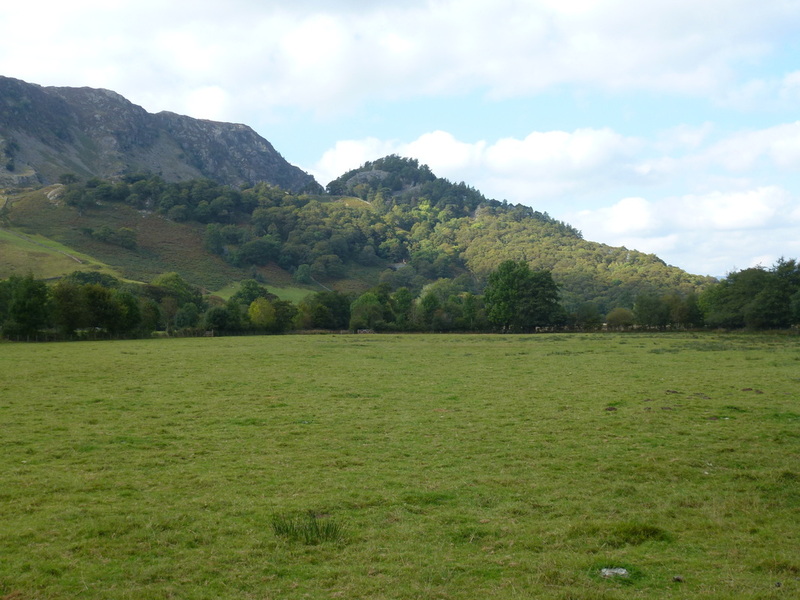 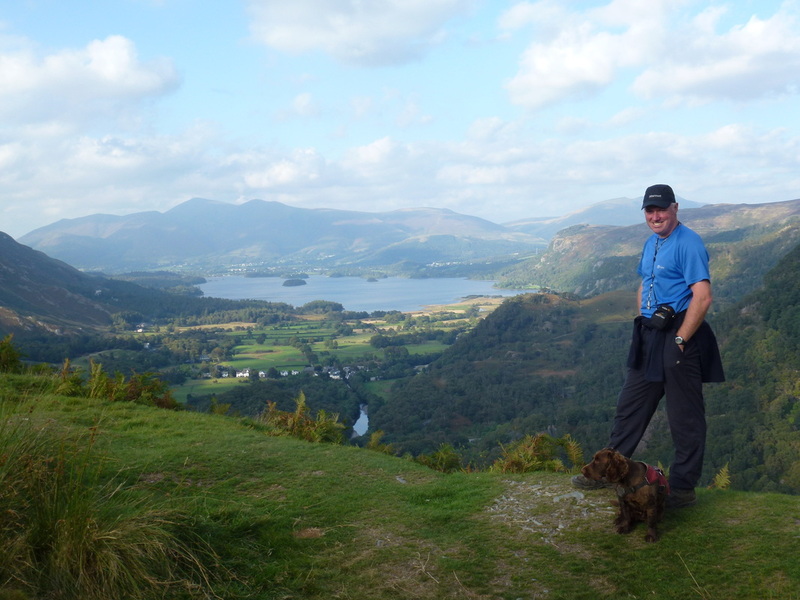 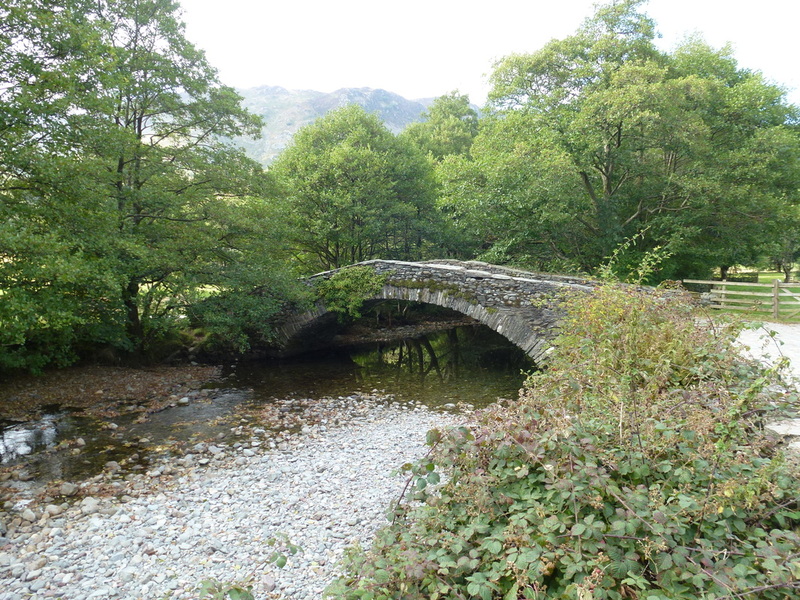 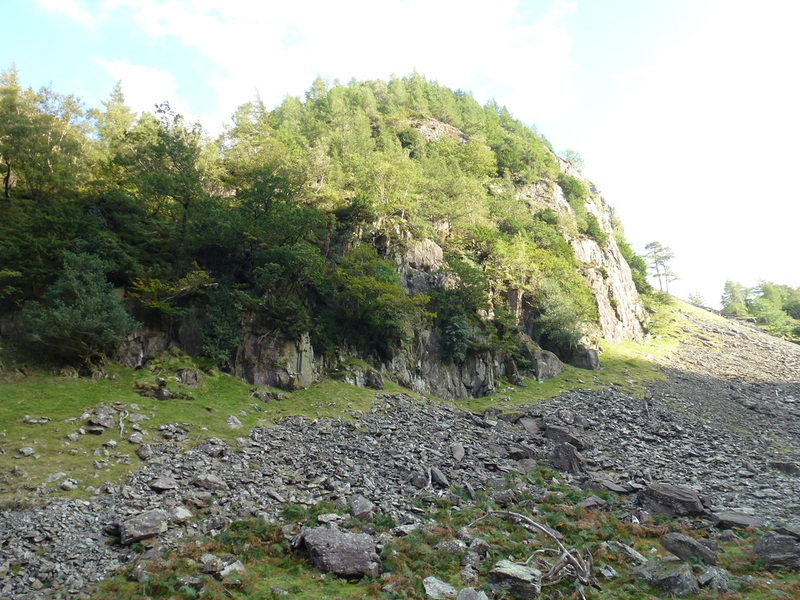 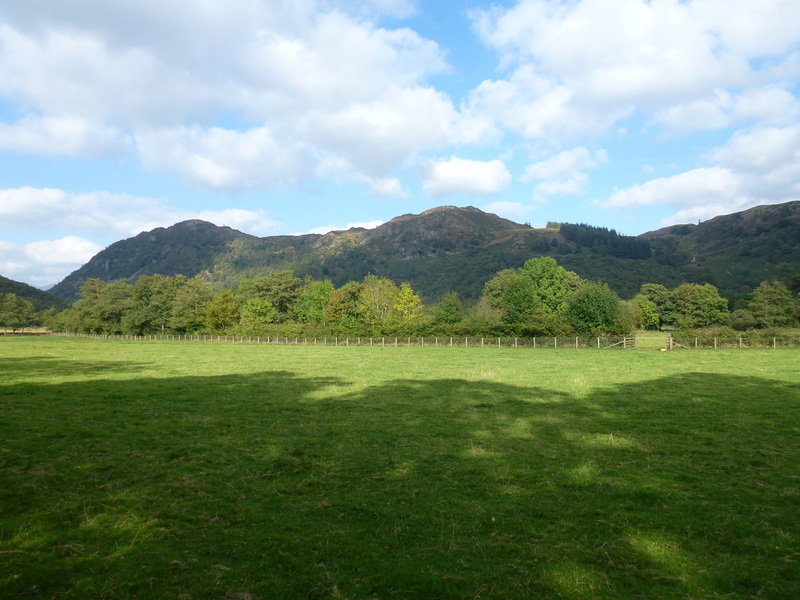 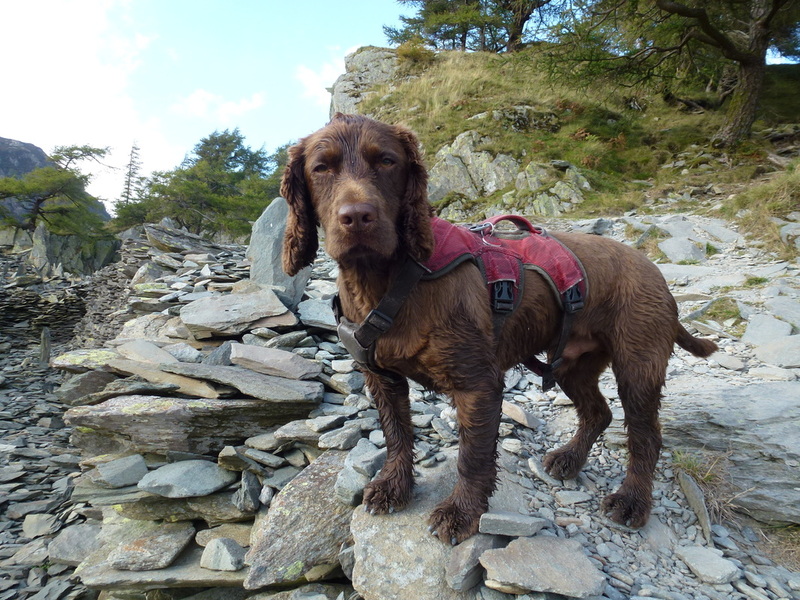 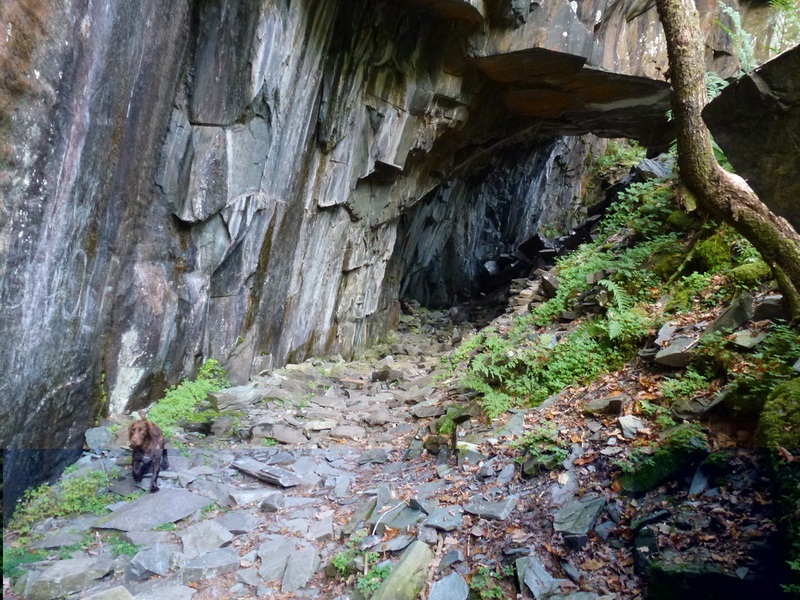 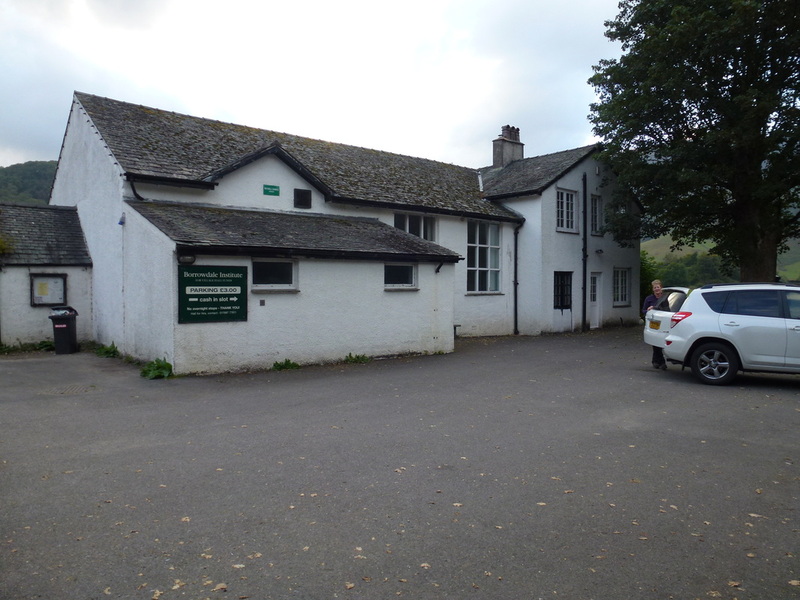 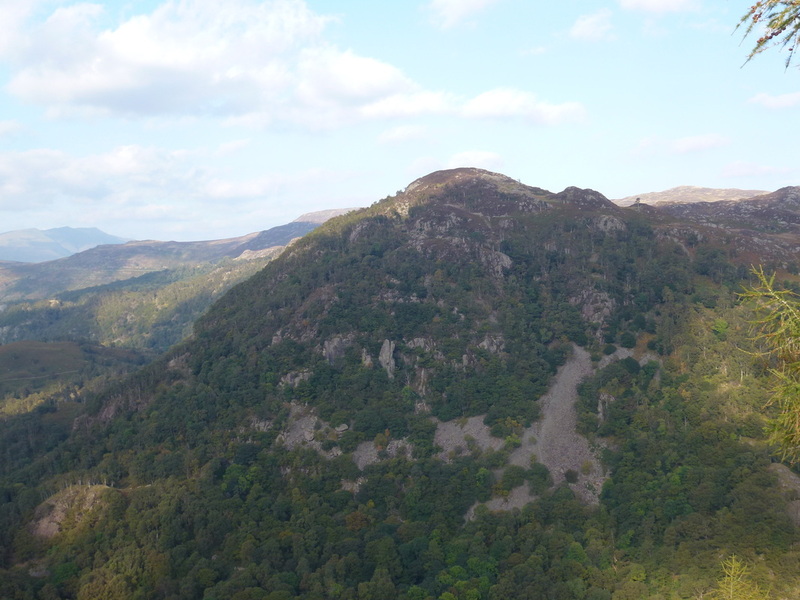 A nice short walk today which we did not start until late afternoon - from the Car Park at the Borrowdale Institute. 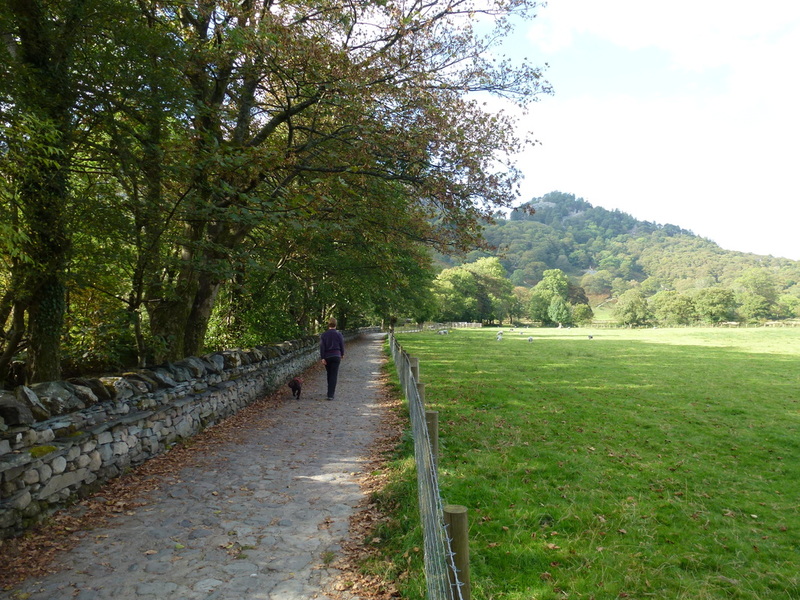 Rosthwaite was still fairly busy as we settled in gently to the walk by having a cream tea at The Flock In. 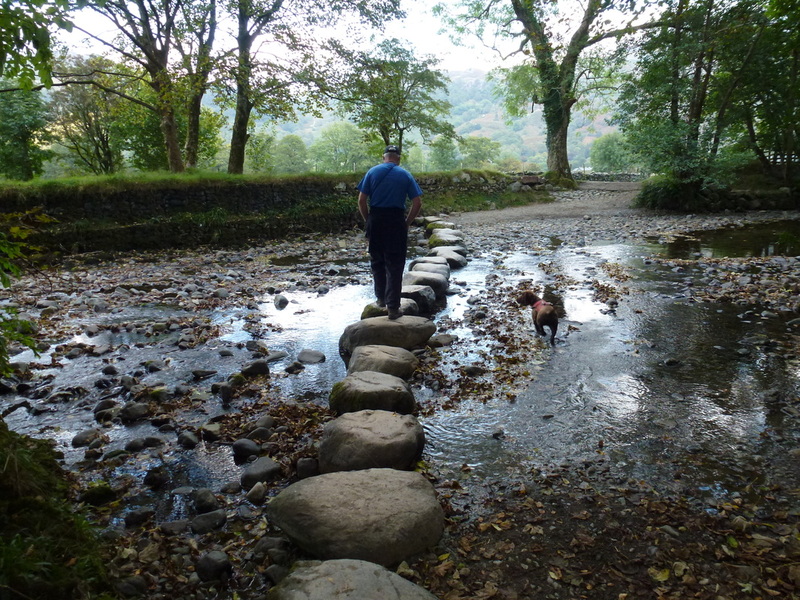 The path heads out of the village to the stepping stones over the Derwent and then heads right along the newly repaired path to New Bridge - this path and the river bank were badly damaged in the floods of 2009 and the authorities have done a fantastic job in the repair. 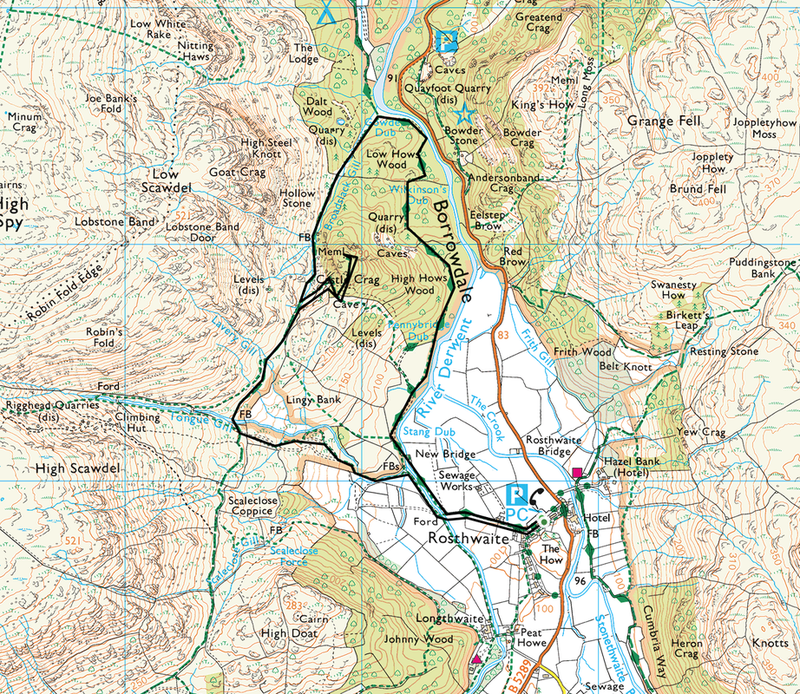 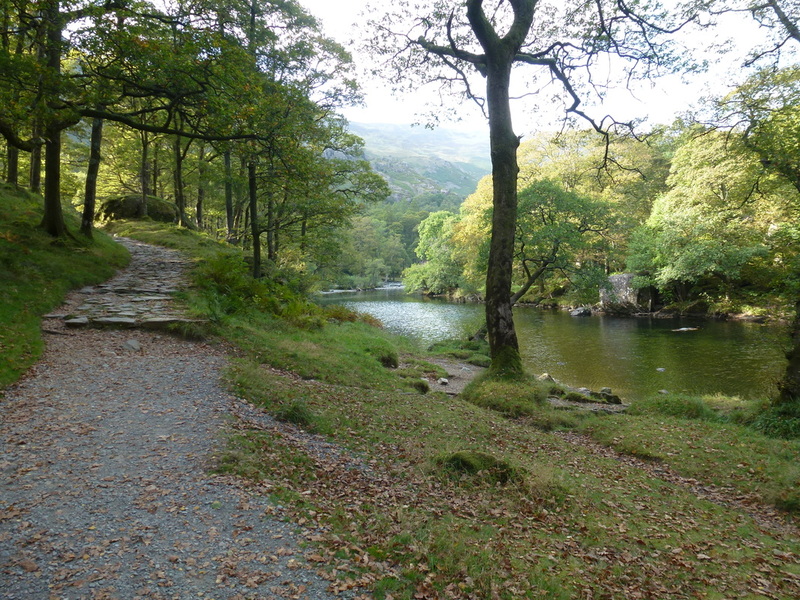 Once into High Hows Wood there then begins a beautiful riverside amble along the edge of the Derwent to Gowder Dub from where the path heads back towards Castle Crag following Broadslack Gill. 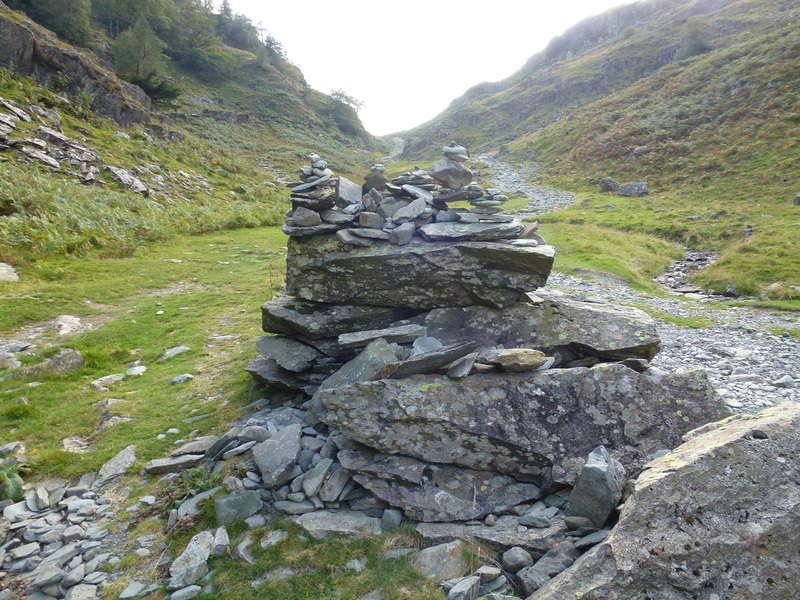 Reaching the memorial and seat, the path up to the summit ascends gradually on an easy surface but does look precarious once the scree spoil is reached. 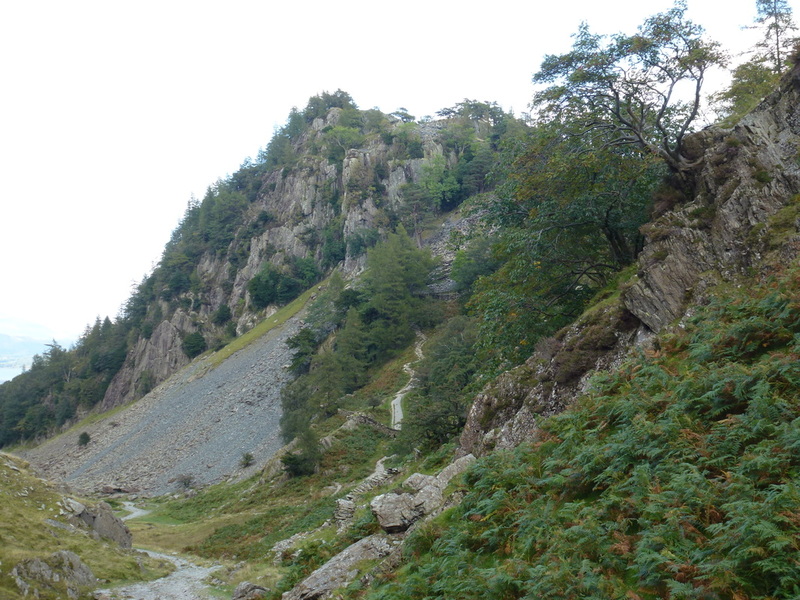 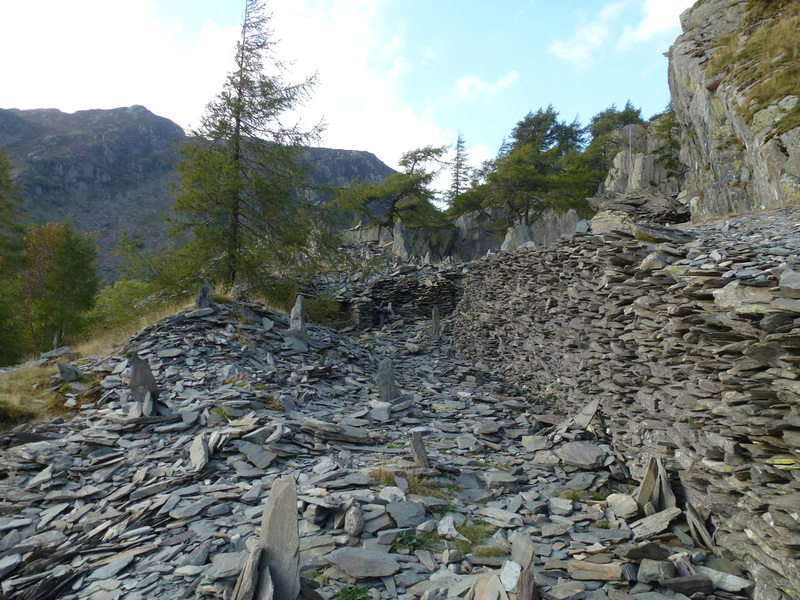 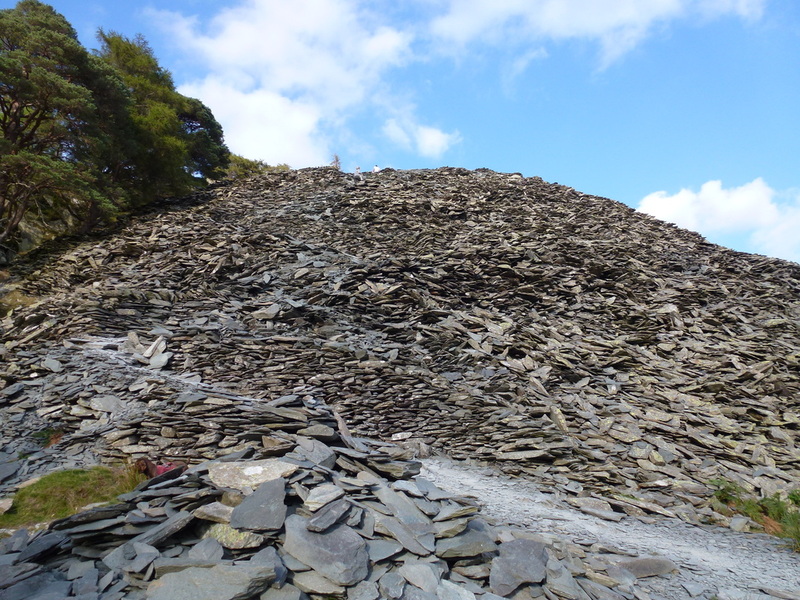 However there is a good path which zig zags its way up to the quarry through the scree from where there is an easy stroll to the summit. 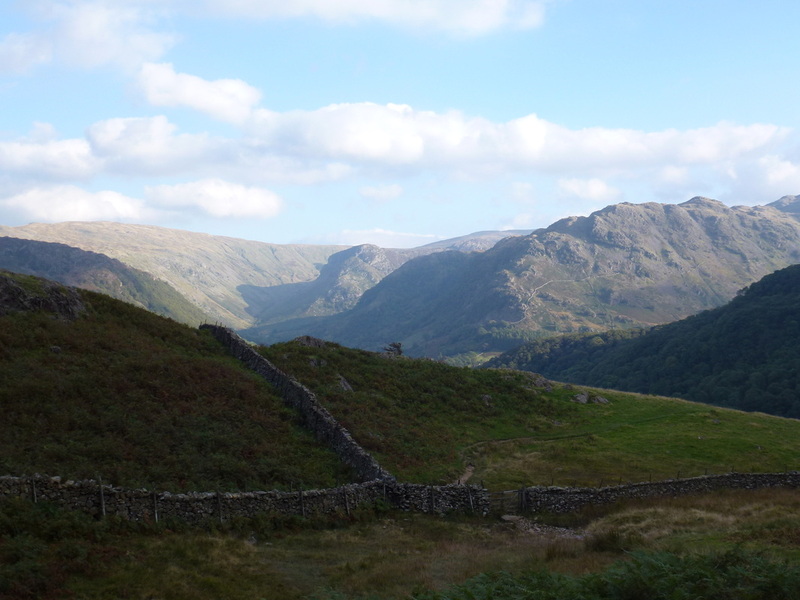 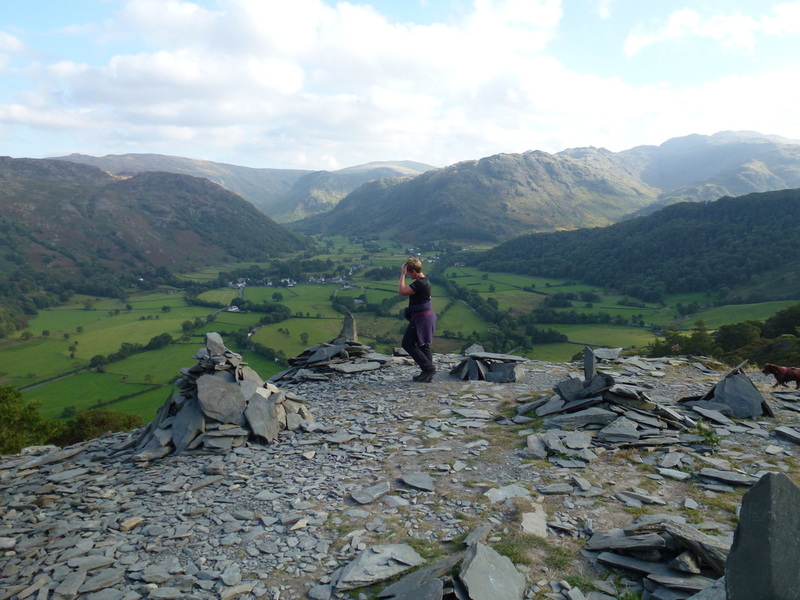 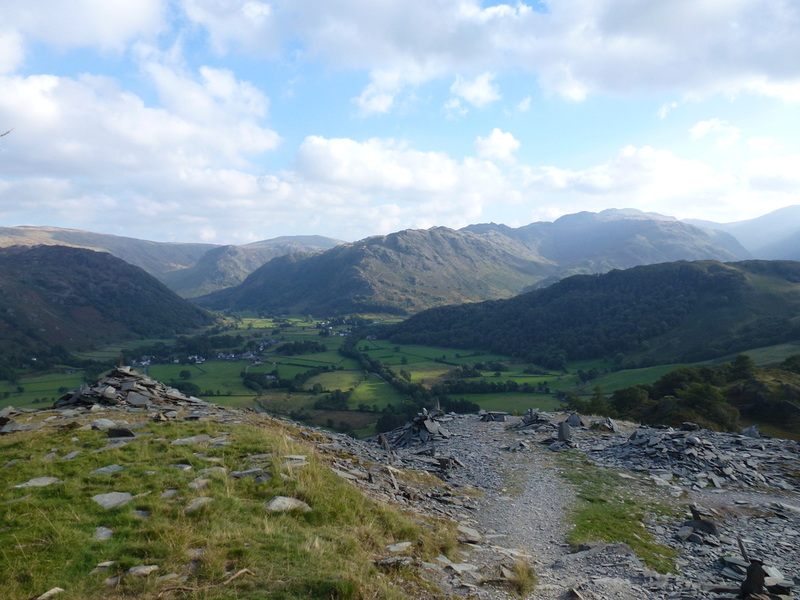 Leaving the summit, the route returns back to the memorial and then heads left heading towards the path junction at Tongue Gill - this is another delightful stretch giving great views down the valley towards Ullscarf and Rosthwaite Fell. 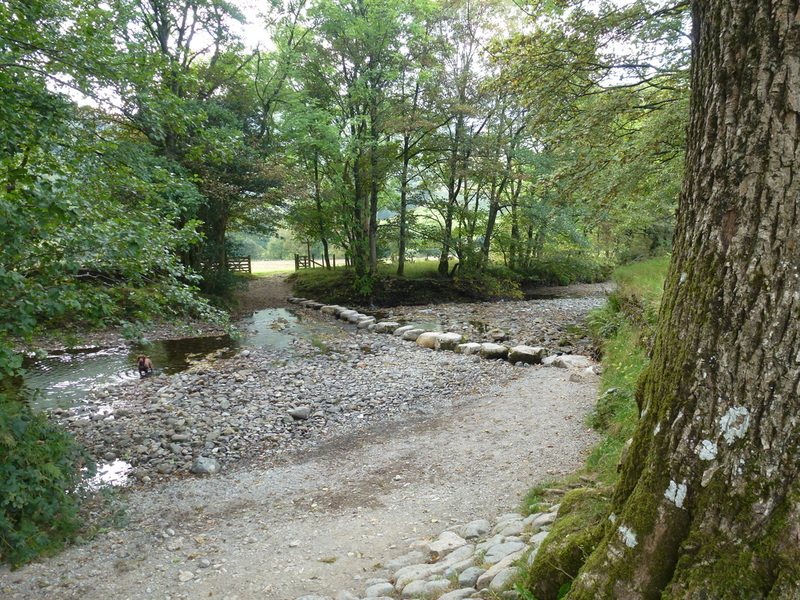 Once the footbridge over Tongue Gill is reached it is just a matter of following the path back to the stepping-stones and retracing the lane back to Rosthwaite. 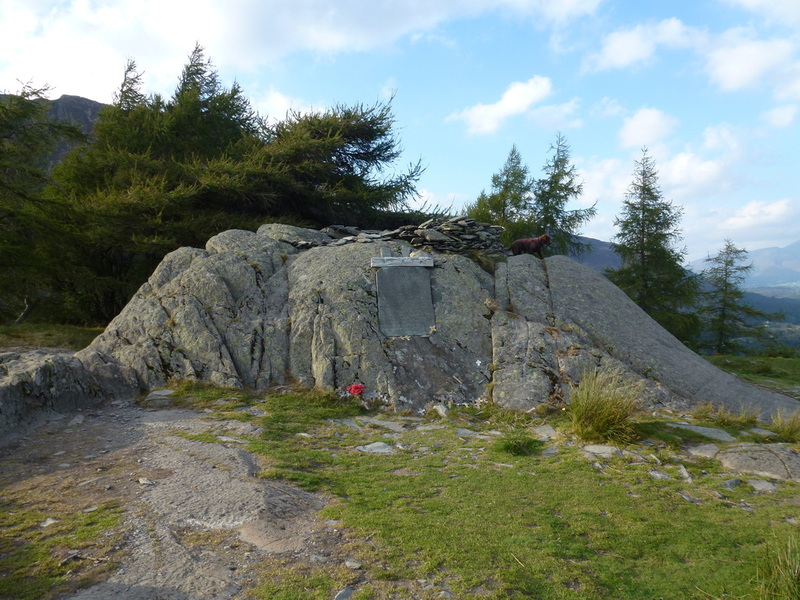 The Sir William Hamer Memorial Plaque - he donated the land around Castle Crag to the Nation. 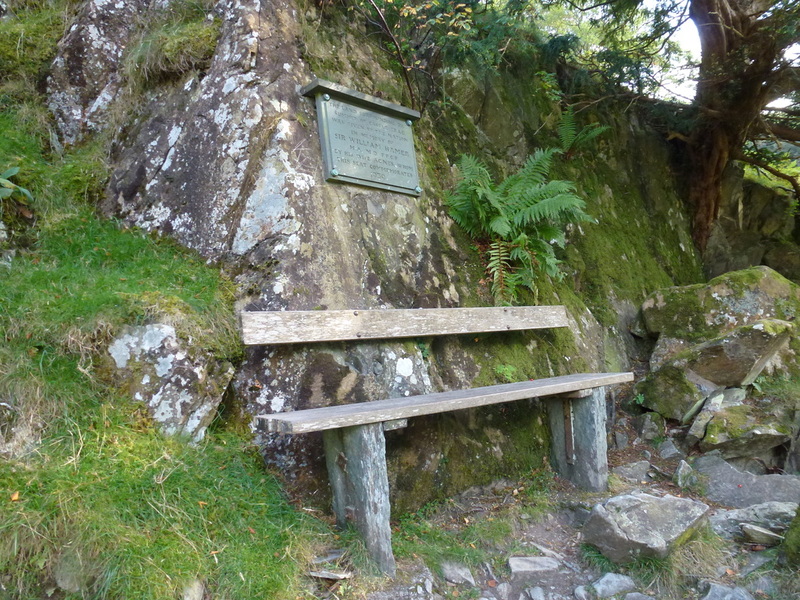 The seat commemorates his wife Agnes.